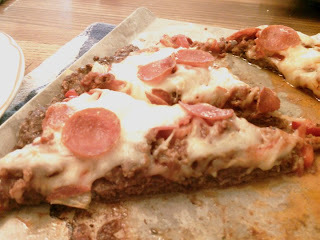 Last night we fix Meatza. We used the recipe from here. But if you Google Meatza you will find a lot of different recipes. It is great for leftovers too and the crust doesn't get soggy.